Every day, hundreds of people walk past a green door in the Gesundbrunnen underground railway station, unaware that, behind it, lies a subterranean labyrinth full of history just waiting to be experienced. Berlin was the nerve centre of the Third Reich and therefore one of the main targets for allied bombing during WW II. 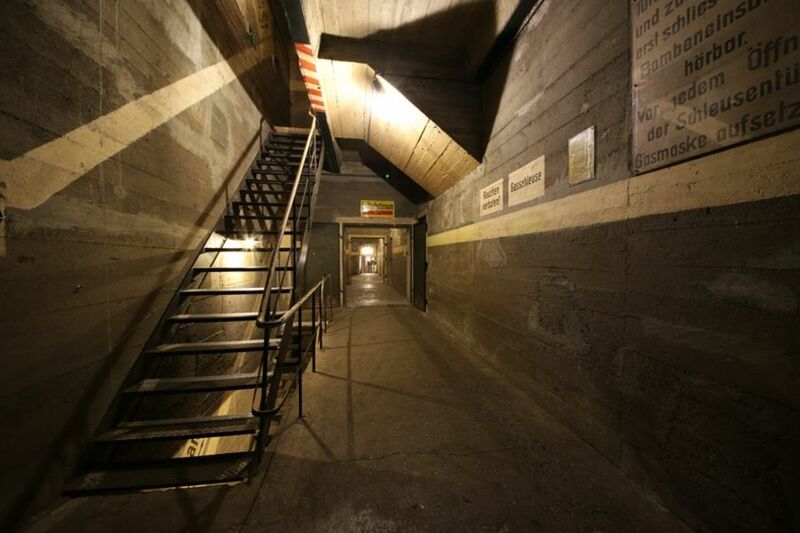 On this tour, our expert guides will lead you in exploring one of the few remaining bunkers, as it was left after the war. There you will learn more about the life of the average Berlin citizen during the air raids that destroyed up to 80% of the city centre. Travelling through the twisting passages and rooms, you will also see countless artefacts from the war that have been buried for decades. 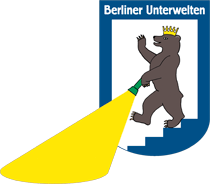 Additionally, by looking into the development of the city's subway and sewerage systems as well its former pneumatic post, we will provide you with an insight into the 160-year-old underground history of Berlin. We accept requests for 2020 only from October 2019 on. Please send your request via our Contact Form. 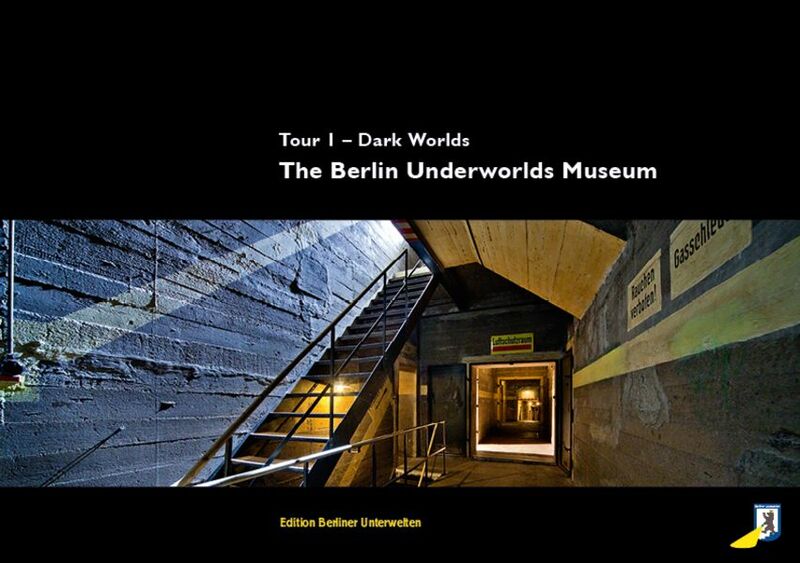 Please note: Regarding minimum age, equipment, etc., the same terms and conditions as for public tours apply. Members of booked group tours are not required to buy tickets in the Ticket- and Bookshop. Buses can be parked at Behmstraße, next to “Blochplatz” park. Please send your request for a group tour via our Contact Form.